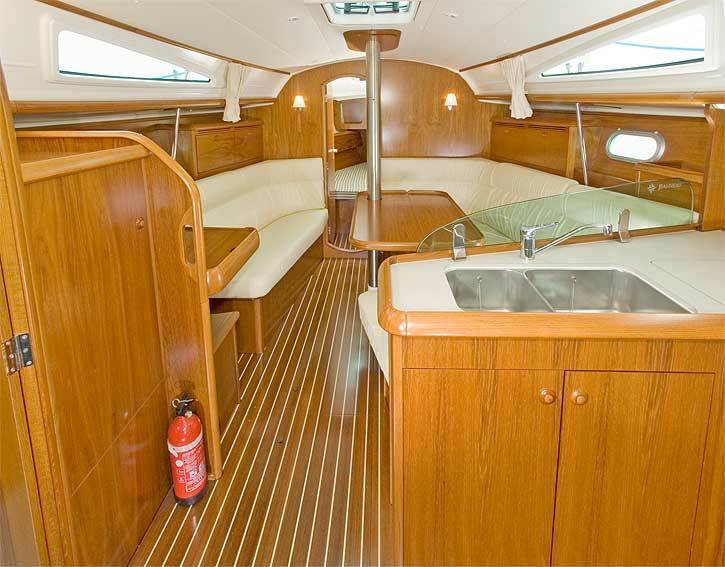 The Sun Odyssey 35 is a popular mid-sized cruiser, with a particularly spacious and bright interior. 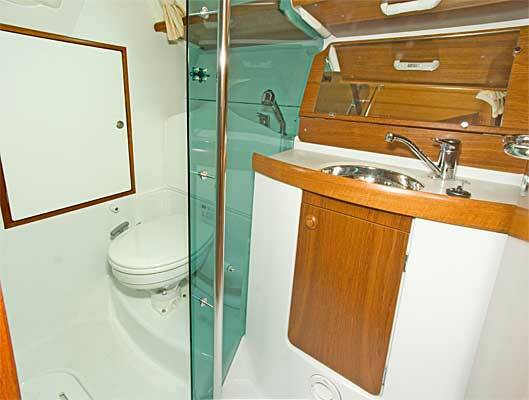 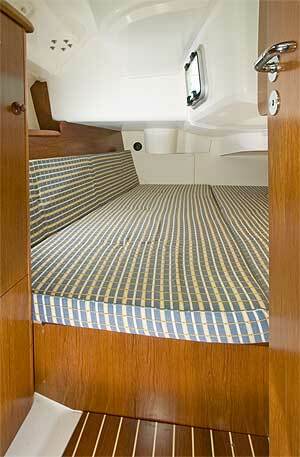 These yachts were sold with multiple accommodatioand keel options. 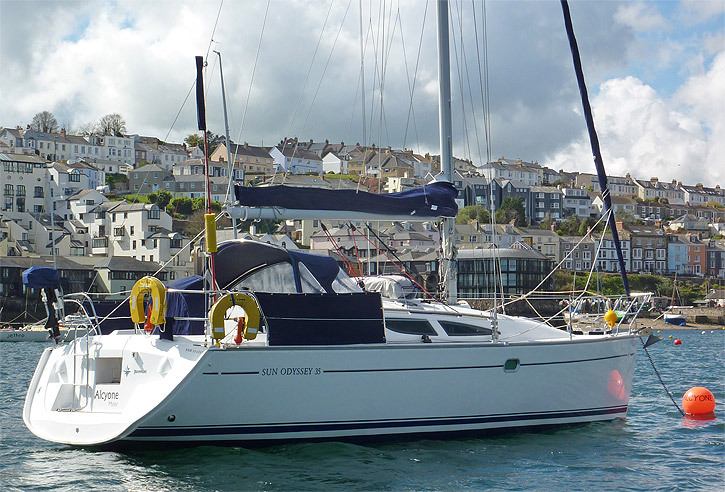 The yacht shown is a deep fin 'owners' version with a very large aft double berth, plus another double in the forecabin, and the saloon can also provide another single and double berth. 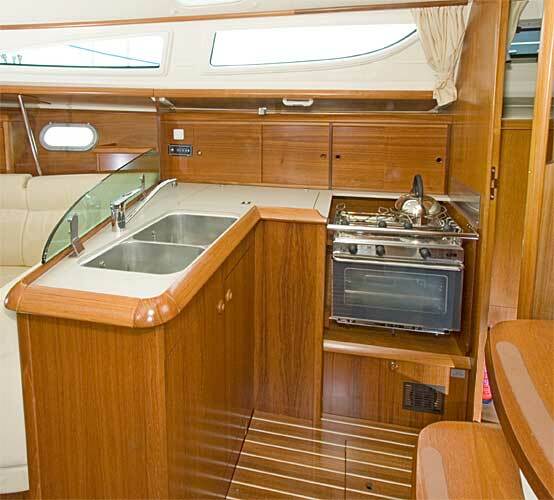 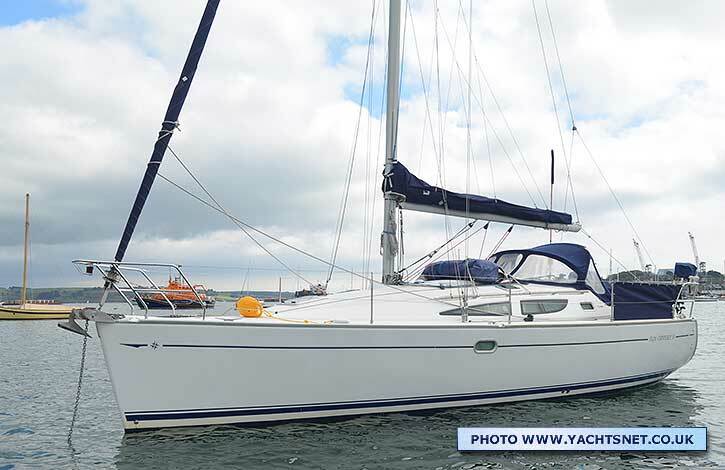 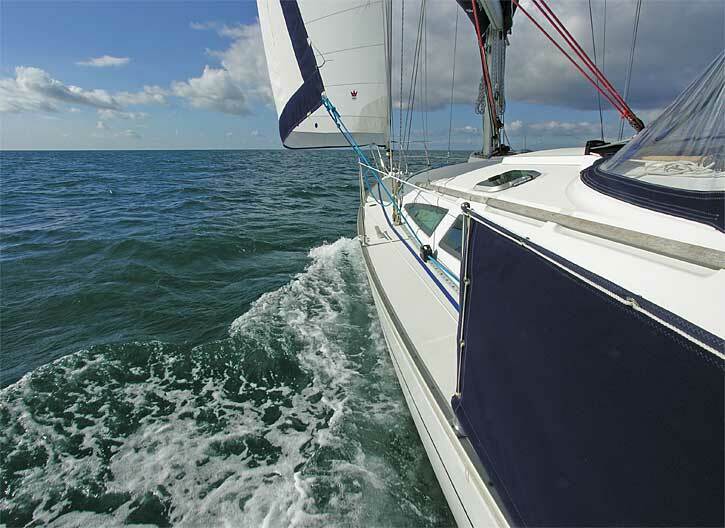 The Sun Odyssey 35 was designed for Jeanneau by Marc Lombard, and was introduced in 2003. 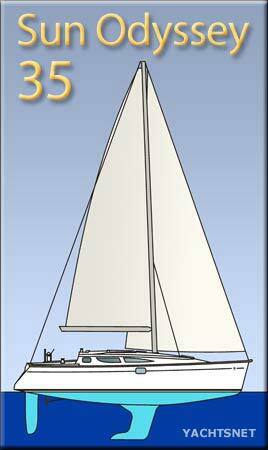 She has a high-volume light-displacement hull, matched to a deep narrow keel with a large trailing ballast bulb and deep spade rudder (The yacht shown is the deeper-keel version). 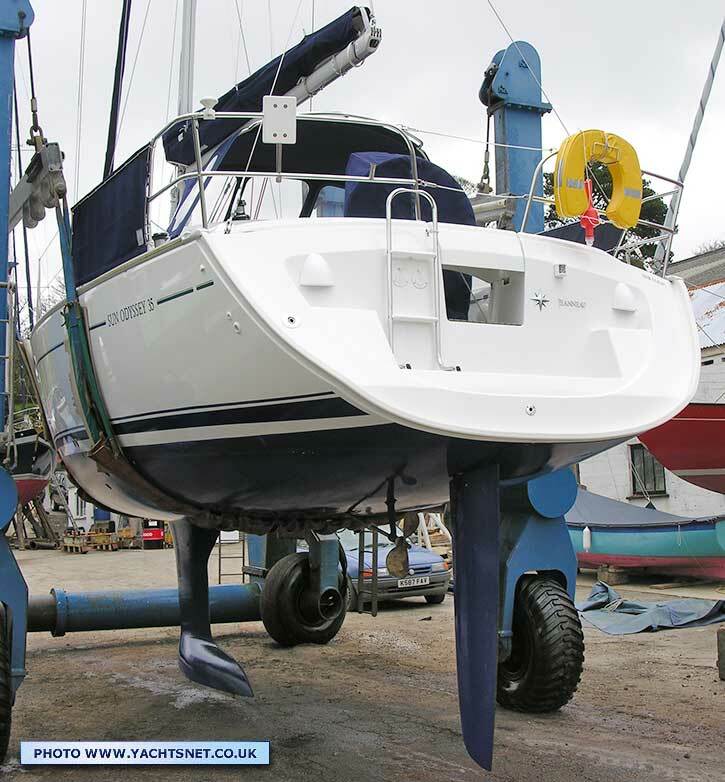 By the time these Sun Odyssey 35s were produced most production builders were using inner moulded GRP "egg-crate" linings in the bilges to reduce labour in construction, but Jeanneau retained the simpler but more labour intensive grid system until the mid-2000s, which makes repairs much easier if ever required. 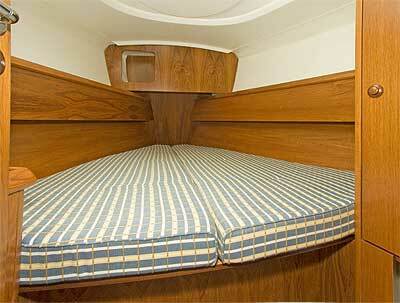 The next model to replace this was the 36i, which went to egg-crate interior mouldings. 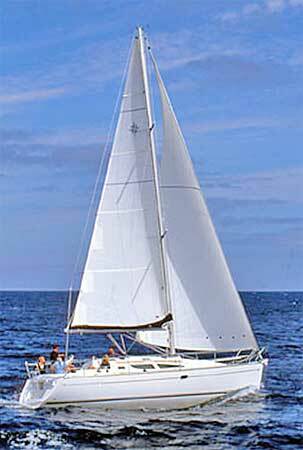 She has a fairly large masthead rig with twin spreaders and a baby stay. 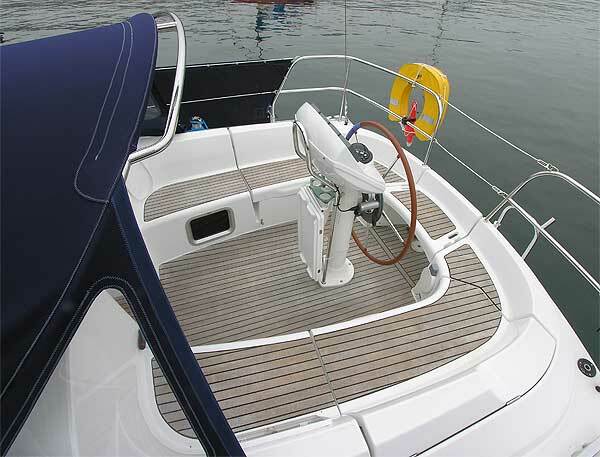 The traveller and mainsheet are handled on the coachroof winch, keeping the cockpit clear. 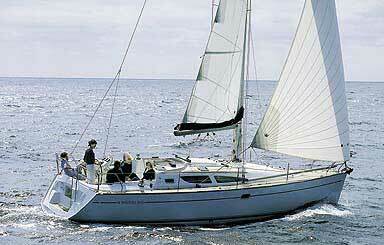 The mainsail has slab reefing with lazyjacks, and the genoa is on a roller. 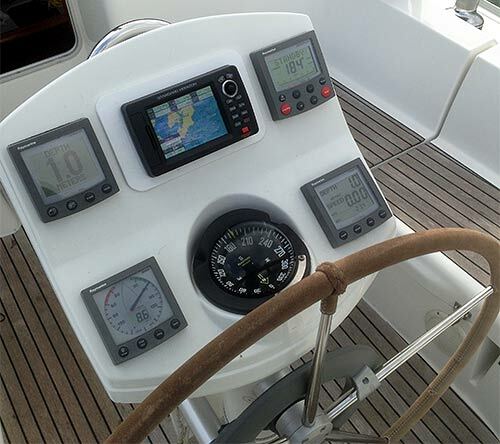 The usual engine is a Yanmar or Volvo inboard diesel, driving a fixed two-bladed prop on a P-bracket sternshaft.